And it was gold as Irma Khetsurinai won the women's foil B title. Khetsuriani, who had produced Georgia's previous best result by finishing fifth in the women's sabre B event, defeated Anastasiya Kastsiuchkova of Belarus in the final. Ukraine claimed both bronze medals through Nadiia Doloh and Tetiana Pozniak. Nataliia Morkvych added gold to bronze in winning the women's sabre A class. The Ukrainian, who finished joint third in the women's foil A class on the opening day, beat fellow countrywoman Yevheniia Breus in the final. Bronze medals went to Poland's Marta Fidrych and Eva Andrea Hajmasi of Hungary. And she did it again too! 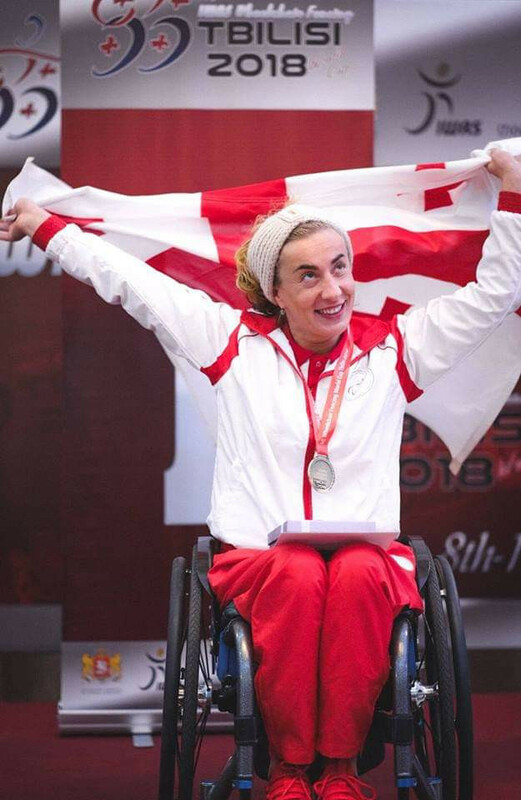 #IrmaKhetsuriani wins World Cup in wheelchair #fencing in Tbilisi, making our country proud again. Hungary's Richard Osvath added silver to gold after reaching the men's sabre A final. Osvath, who won the earlier men's foil A event, was defeated on this occasion by China's Li Hao. Bronze was shared by Andrii Demchuk of Ukraine and Russia's Viktor Dronov. In the men's sabre B competition, gold went to Italy's Alessio Sarri, who defeated Russia's Alexander Kurzin in the final. Bronze medals went to Poland's Adrian Castro and Albert Kamalov of Russia. This is the first event to take place in the qualification period for Tokyo 2020, with performances contributing to a rankings list that will determine qualifiers for the Paralympic Games. The final day will involve action in the foil female team and epee male team events.